Having followed instructions on how to make 5 different designs of paper airplanes yesterday, today was the day of testing! The children had worked in pairs to make their craft and now were required to choose one each to see which would fly the furthest. Gabriela from Year 2 was in the lead for quite some time but was overtaken by Martha in Year 3. 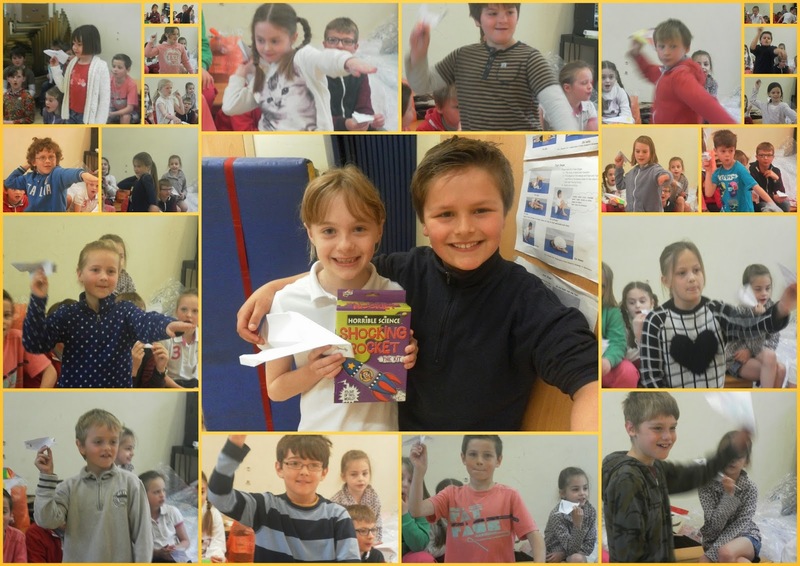 However, the prize for achieving the longest distance was taken by the 'dream team' of two Year 4s superbly piloted by an aspiring Amelia Earhart! It was an end to a great week to end off an action packed term.